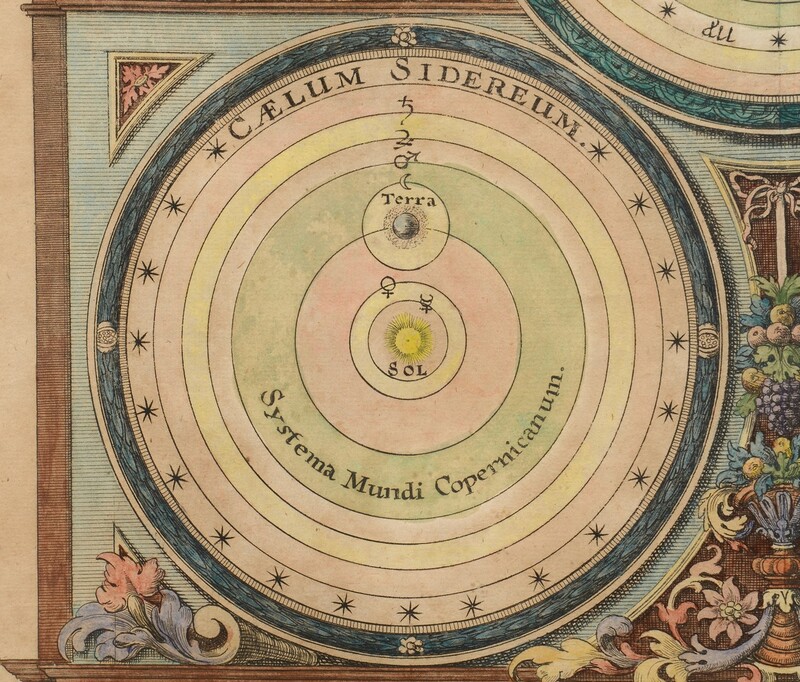 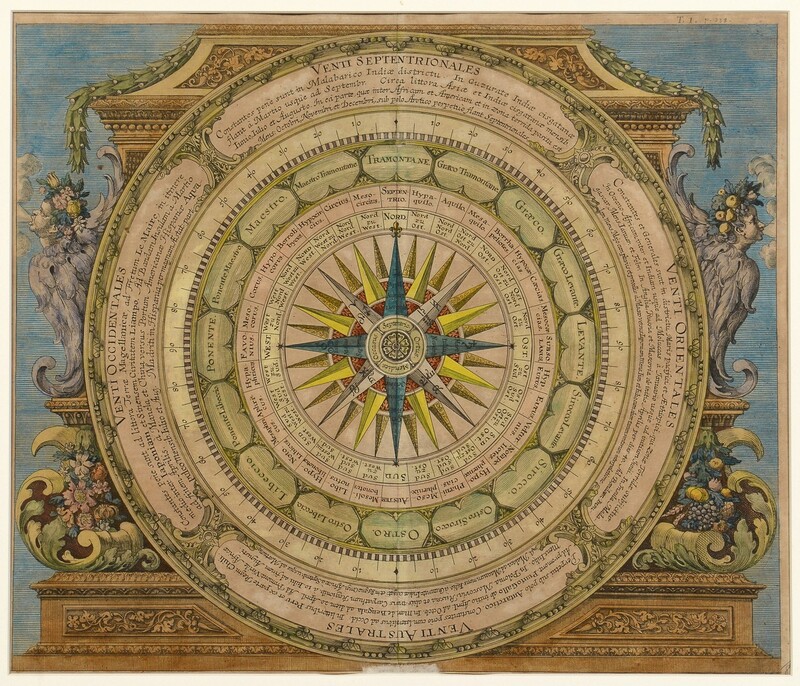 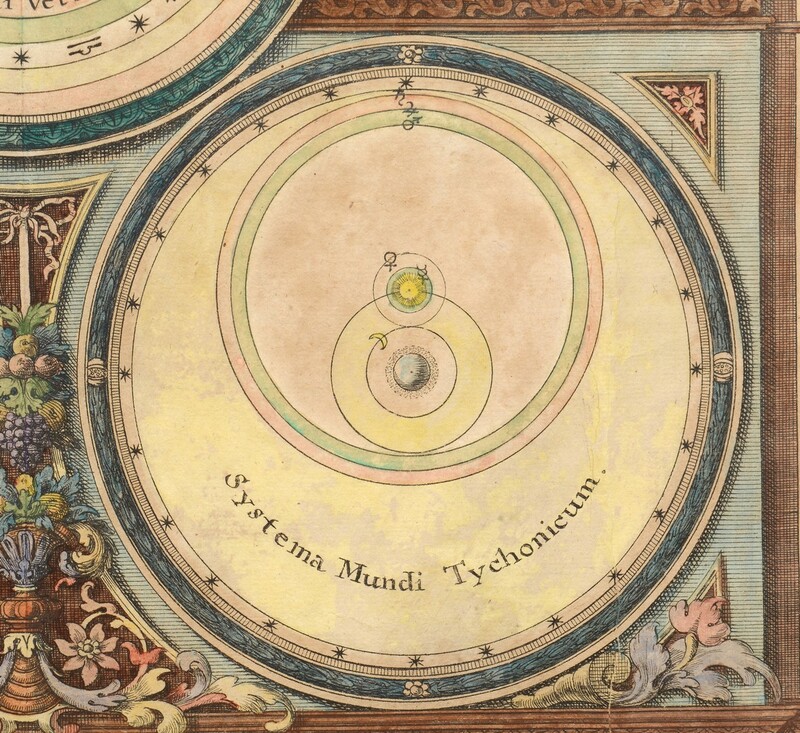 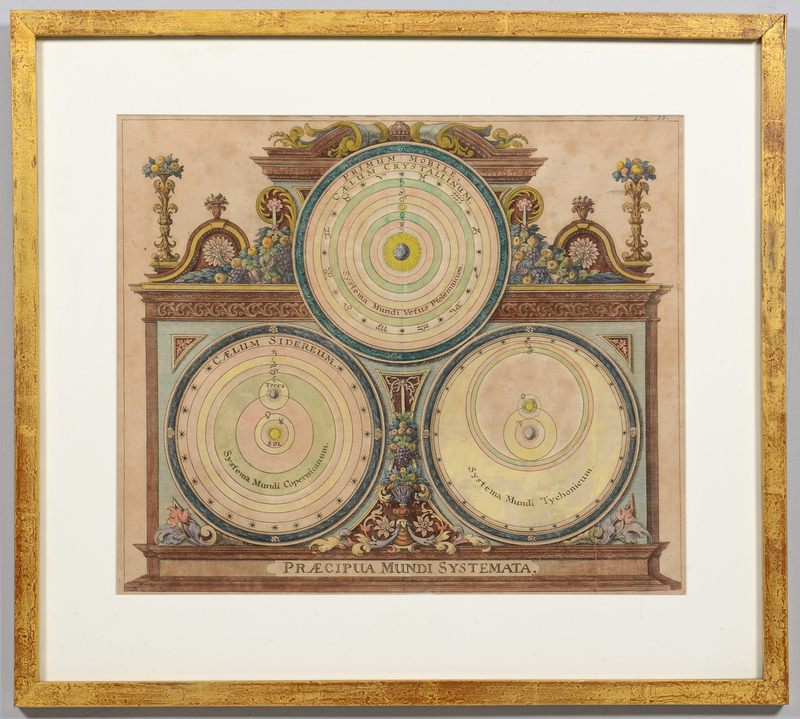 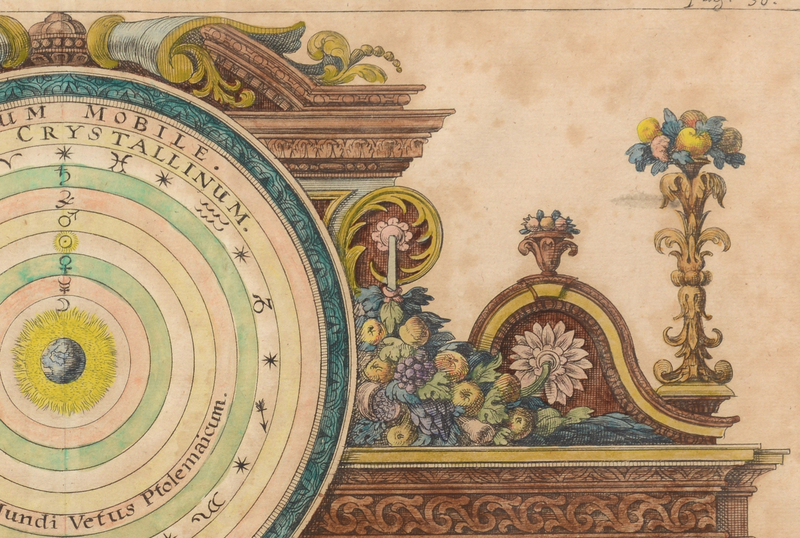 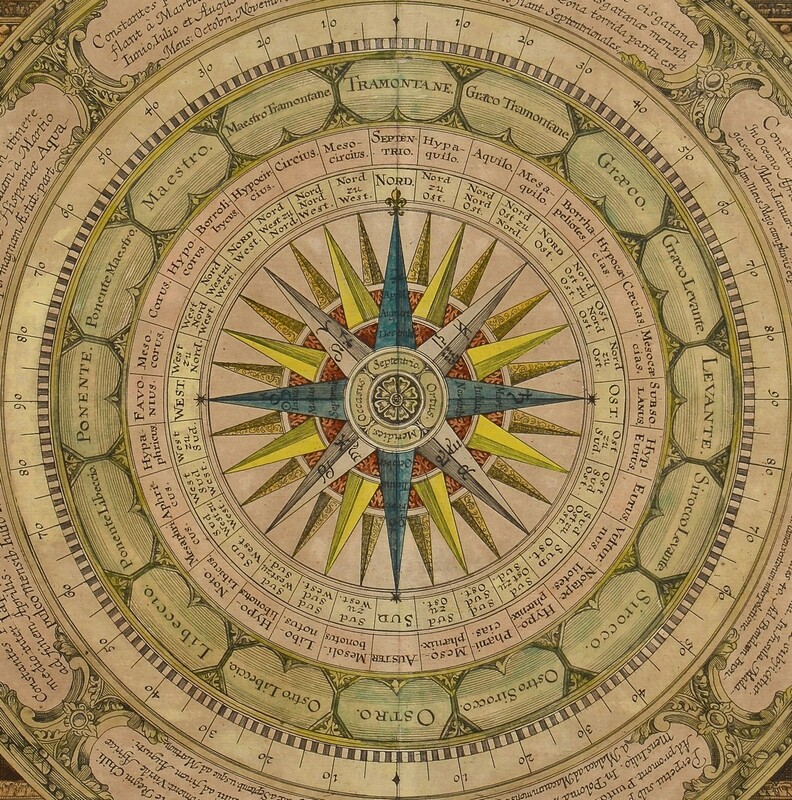 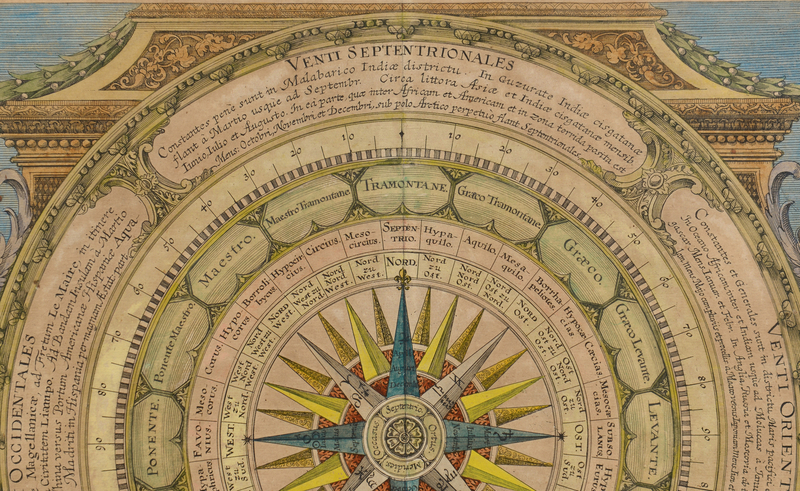 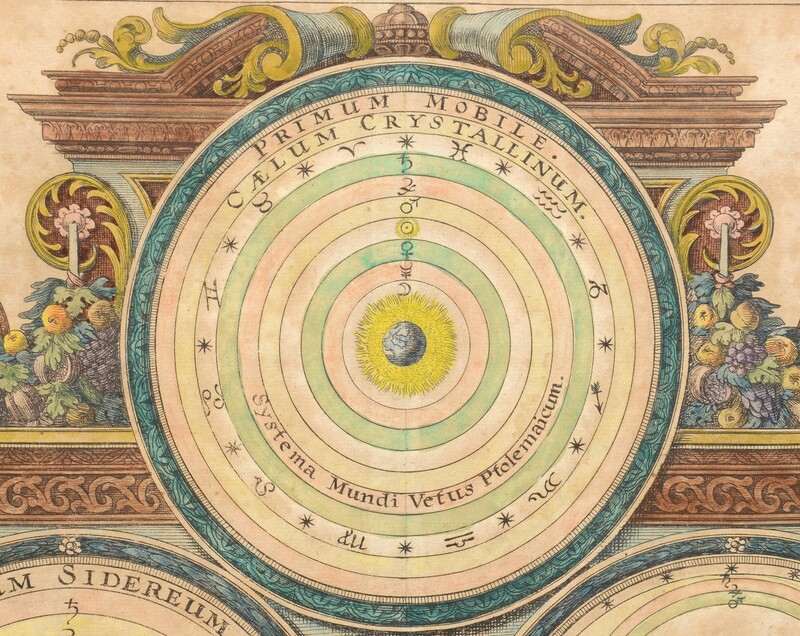 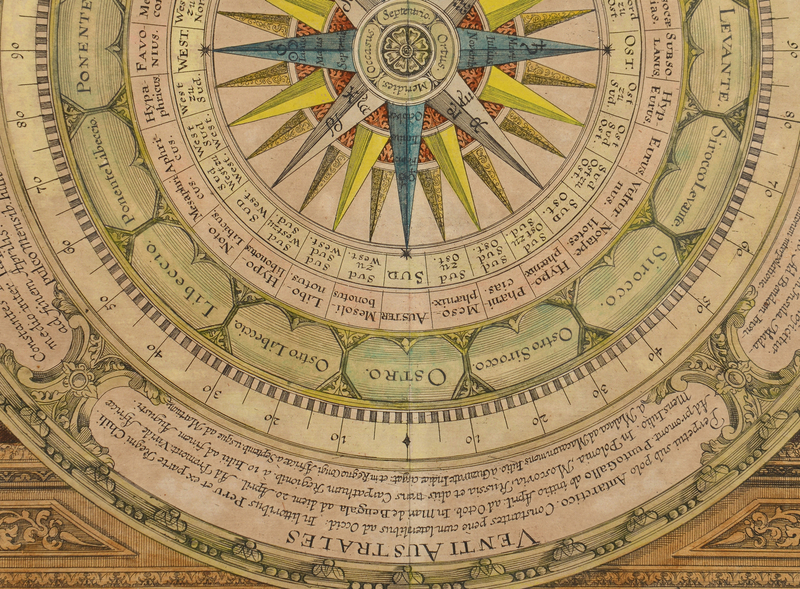 Pair of 17th century hand colored, copper plate engraved Baroque astronomical charts by Johann or Johannes Zahn (1641-1707), "Three Competing Views of the Universe: the Ptolemaic earth-centered view; the Copernican sun-centered view; and an earth-centered view of Tycho Brahe" and "A wind rose with the names of the various winds". 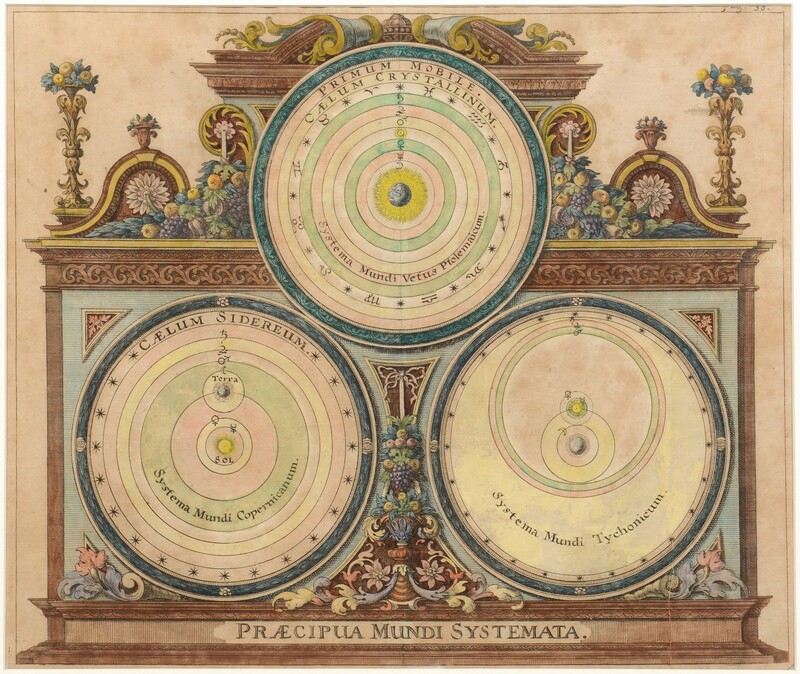 Published in Zahn's book "Mundi Mirabilis Economia/Marvelous World" ( Nuremberg, 1696). 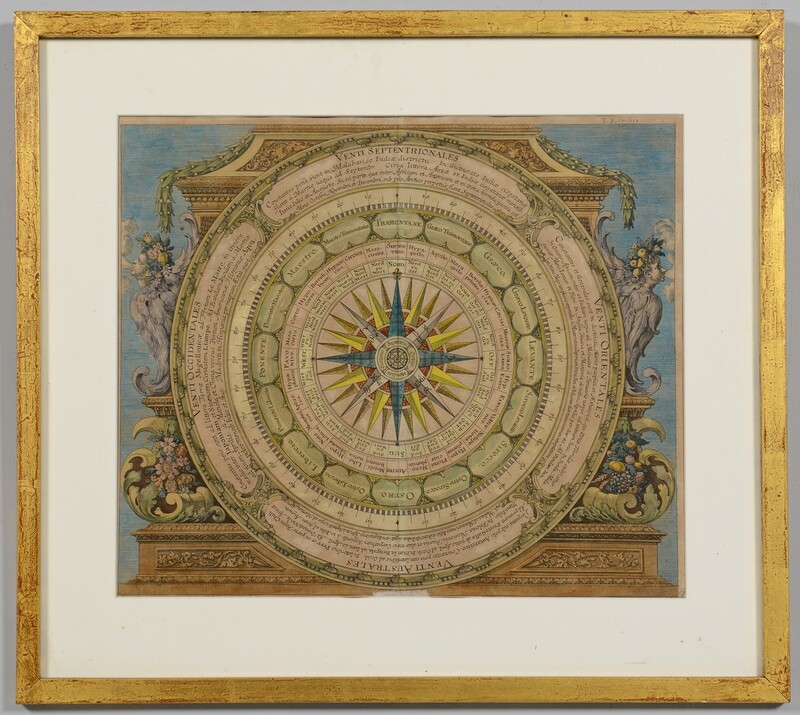 Sight: 14"H x 16 1/2"W. Framed: 20 1/4"H x 22 1/2"W. Provenance: the estate of Lucille Svitzer Brady (Mrs. Frank B. Brady), formerly of Annapolis, Maryland. 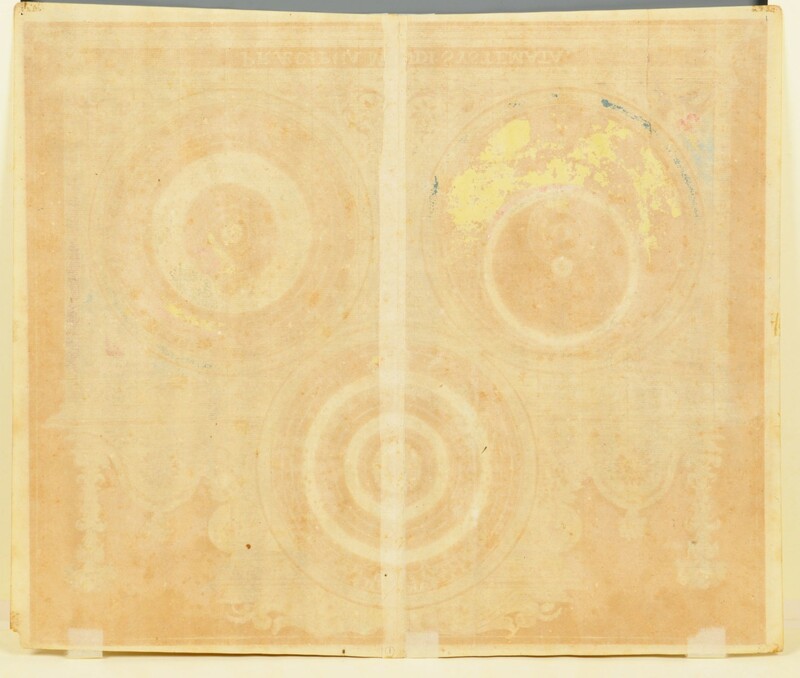 Condition: 1st item: One with 6" crease or possible repaired tear to lower right quadrant. 2nd item: 1 1/2" abrasion loss at center lower edge. 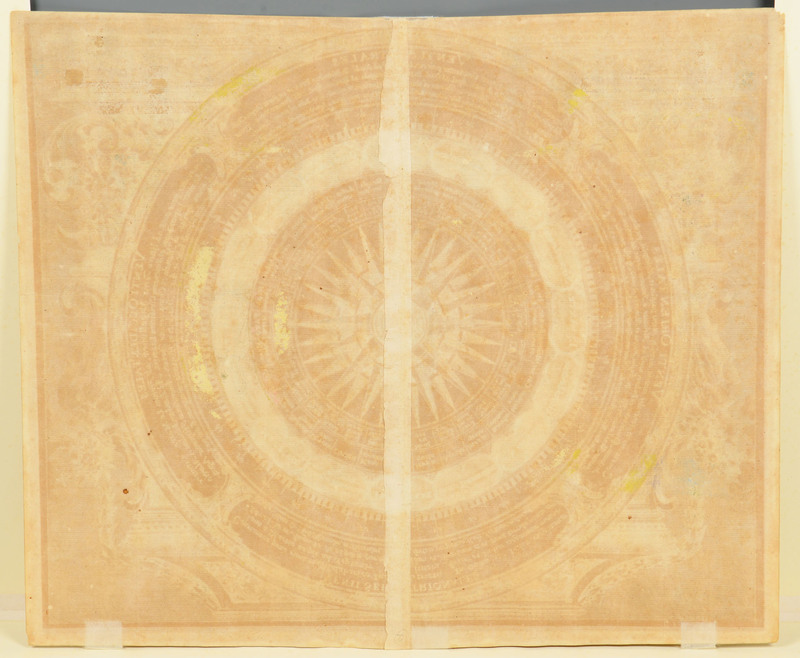 Both with vertical fold lines and light pencil annotations in corners.